For my trip to DC, Jon lent me the Travelpro luggage I bought him for Christmas (since my options were either too big or too small). And now I need to continue to borrow Jon's or buy my own! 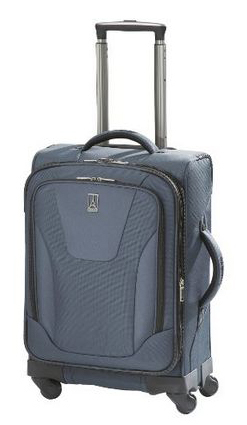 This luggage is compact (though it features expansion opportunity), awesomely lightweight, and features 360 degree wheels that make it easy to navigate through the airport and into those tight bathroom stalls. 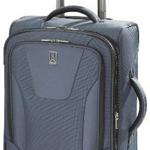 Travelpro makes bigger sizes too, but I recommend staying small; the less space you have, the less unnecessary stuff you'll pack! Want more Friday Finds? Check out: ridiculously awesome pants, parachute cord crafts, and Where Is The Cake?